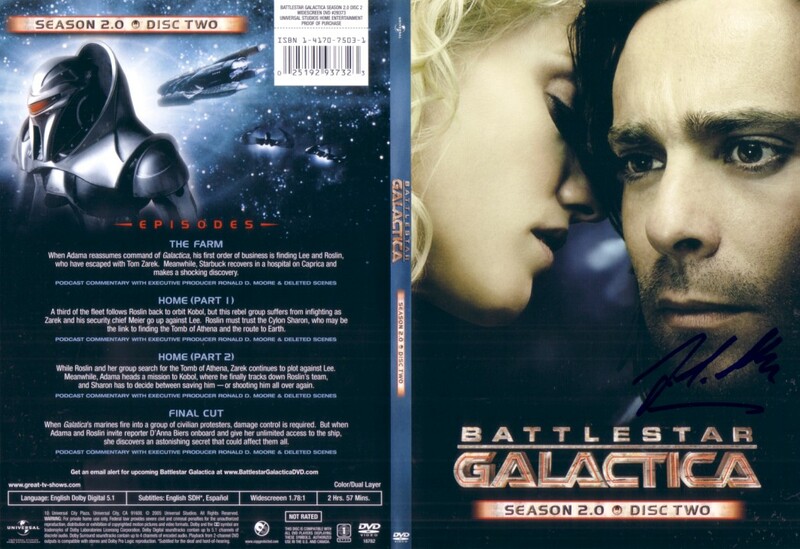 Battlestar Galactica Season 2.0 DVD cover insert autographed in blue marker by actor James Callis, who played Gaius Baltar. MINT. DVD NOT INCLUDED. With certificate of authenticity from AutographsForSale.com. ONLY ONE AVAILABLE FOR SALE.